Ha ha ha! Good point about not promising to over think about what to do with the yarn! I think they both look lovely. I agree, the shorter stripes would probably be better for socks. 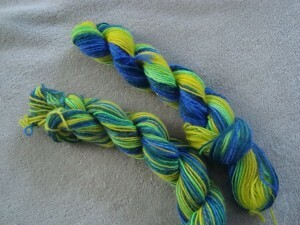 Although, used together they could make an interesting shawl. . . 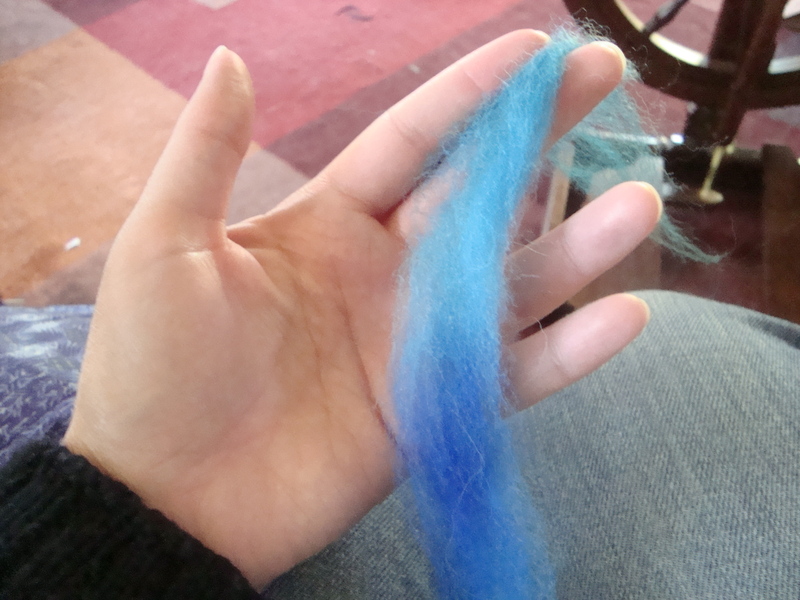 I vote for a lovely shawl with a darker blue trim for cold winter evenings. The fact that my brain doesn’t work in a way that I can effectively envision things might just have a bright side ….. At least I don’t agonize overmuch. Giggle . Of course, it does mean that I get some not so nice surprises! There are some beautiful shawlettes that are stockinette for a large part and have a lace edge. 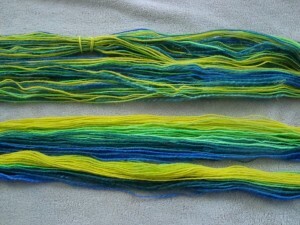 Your brightly colored yarn would be great for that with a solid or tonal for the edging. I love the socks idea myself. 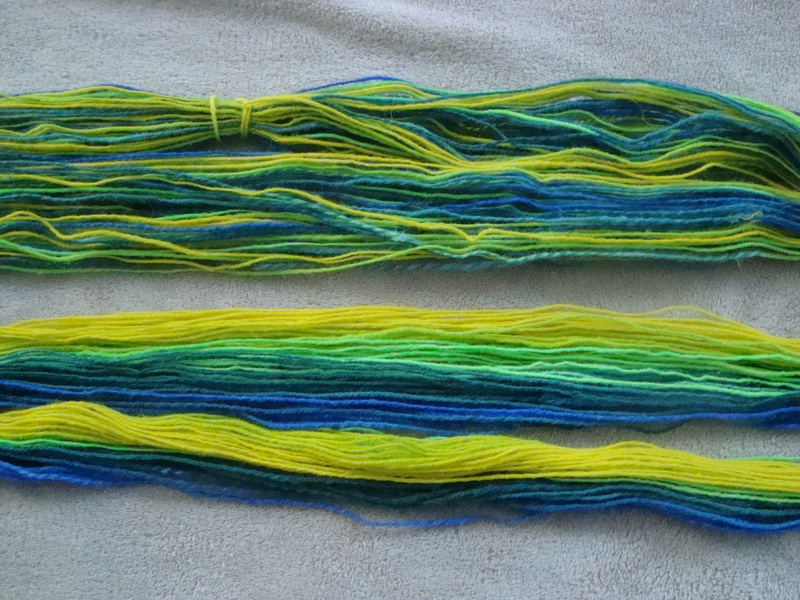 I don’t have a loom, so weaving is out of my possibilies list. So many possibilities! I’m intrigued by the weaving idea. I would think the right companion yarn could really make for a stunning piece. Can’t wait to see what you decide! It is awesome. And i would knit one sock in the shorter repeats and one in the longer! DesigKnit is powered by	WordPress 4.8.9 . Page generated in 0.302 seconds using 40 queries.